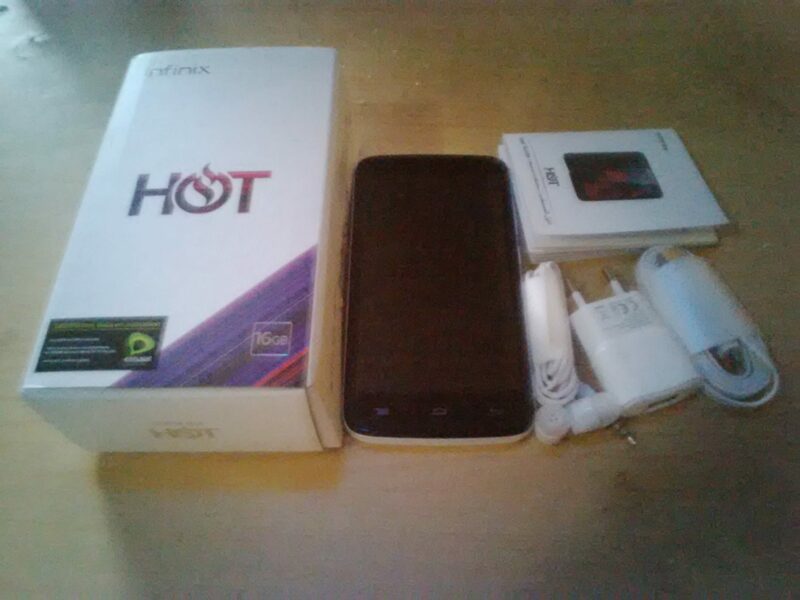 The Infinix Hot X507 phone was officially launched in November 2014. Although it was announced to be available on Konga by November 21st, it took much time than speculated. But, we are happy to announce to you that we have got the device in our hands and the device is also currently available for sale on Konga.com online retailer shop. 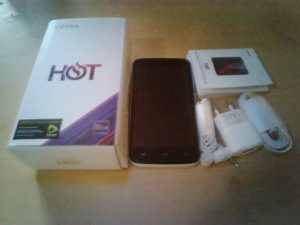 Earlier before now, we had written exclusively on the specification, features and price of the infinix hot X507 device, although the specification and features still remain the same, a little adjustment has been made to the price. Since we had written on the specification of the device earlier, we won’t be relating too much on that. However, we will be showing you the unboxing of the device here alongside a quick hands-on specs and review of the Infinix Hot Phone. 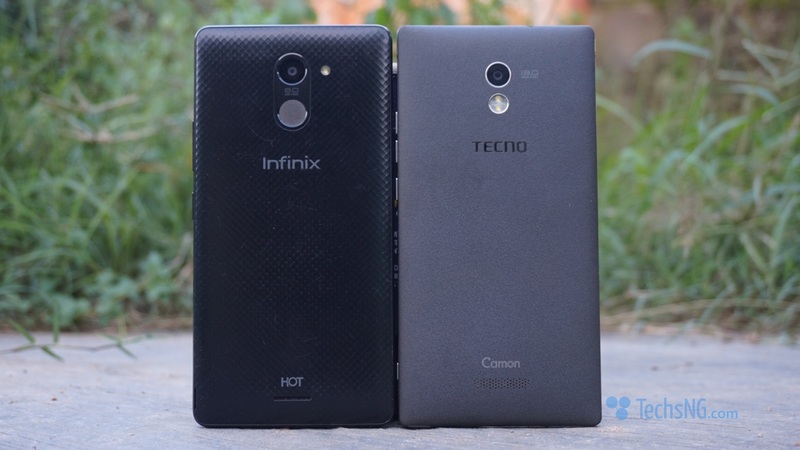 What’s The Current Price Of The Infinix Hot X507 Phone? Just as usual, every device in the market as got a pack as long as its brand new. 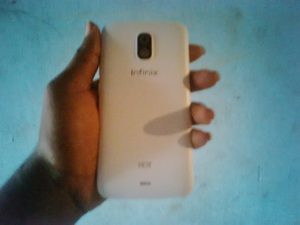 The infinix hot has got a nice looking pack colored white which is pretty sharpy and easy to carry with just one hand. On the pack, its rightly stated on the front that it’s a 16GB memory size phone. considering the fact that infinix is also in partnership with etisalat, it’s clearly stated that you get 500MB free data on activation from etisalat and 100% instant bonus on all purchases of 200MB data and above for 12 months. 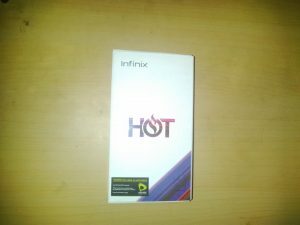 Now, that’s a great deal for etisalat users when they purchase the infinix hot. 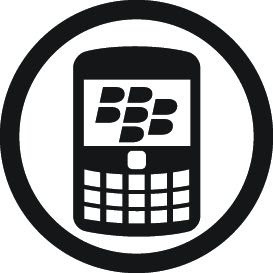 On the Back of the pack, you’d see a quick specs of the device like the android version it runs on, inch of the device, battery capacity, camera specs and others. alongside a label which tells you the IMEI of the device alongside the color of the device when opened. Opening the pack, the first thing that says hello to you is the beautiful looking infinix hot phone. In our case, we got a white and Yes, am actually a fan of white phones. That’s basically what comes with a mobile device. If you were expecting to see a power bank, sorry dearie, that’s not on the infinix hot. 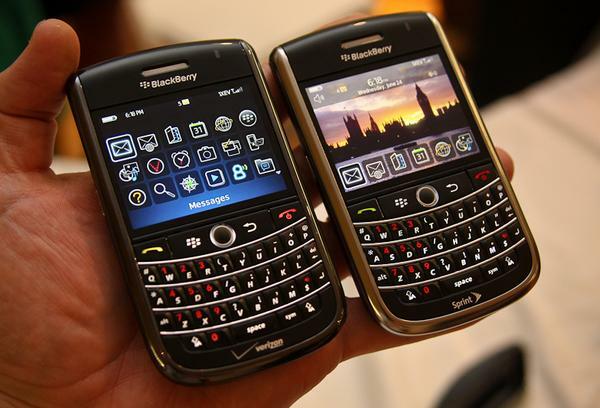 However, with a battery capacity of 2000 mAh, you shouldn’t worry so much about getting one unless you are a heavy user. 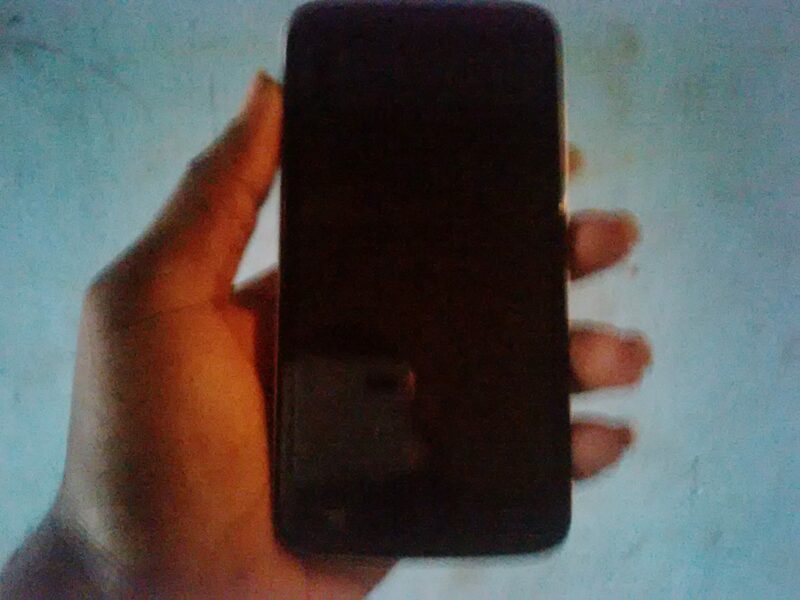 Earlier before now, the phone was sold for just N12,900 (Twelve thousand, Nine hundred Naira). But considering the hike in the currency exchange market, the phone is currently sold for N13400 (Thirteen thousand, four hundred Naira). Here’s the better deal, you get free delivery to any part of the country when you order the device from Konga.com. Even if you want it delivered to your cupboard, just make sure your cupboard has got an officially known and recognized address LOL (Just kidding but really, its free delivery to any part of the country) when you order from Konga.com. The infinix hot phone has got a pretty nice look. It’s back cover is made of plastic and has got a nice texture which fits very well in the hands. It’s also said to be glow cover but we are yet to actually confirm if it actually glows but I just got to admit that it feels awesome in the hands. The infinix hot is a 5.0inch device with 5.0 IPS Screen (Not gorilla glass). The function keys are actually soft touch keys and that’s pretty cool hence, you don’t have to bother pressing but tapping instead. The Phone isn’t weighty. Its pretty light. Hence, if you are the type that likes pretty light phones, this might just come in handy for you. As usual, Its got its volume buttons at the right side of the phone which is slightly below the power button. The 3.5MM Ear-Piece Jackpot is located at the top of the device which isn’t distant from the charging port(Yes, the charging port is situated at the top of the phone). Looking at the back, its got a 5.0 Mega pixel camera which is clearly stated between the camera and the flash light, the loudspeaker is also located at the button side of the back and not to forget, the phone’s got a 2MP front camera which is pretty okay for video calling, skype, selfies and every other functionality that’s got a need for the front camera. It runs on android 4.4.2 which is the android Kitkat version. 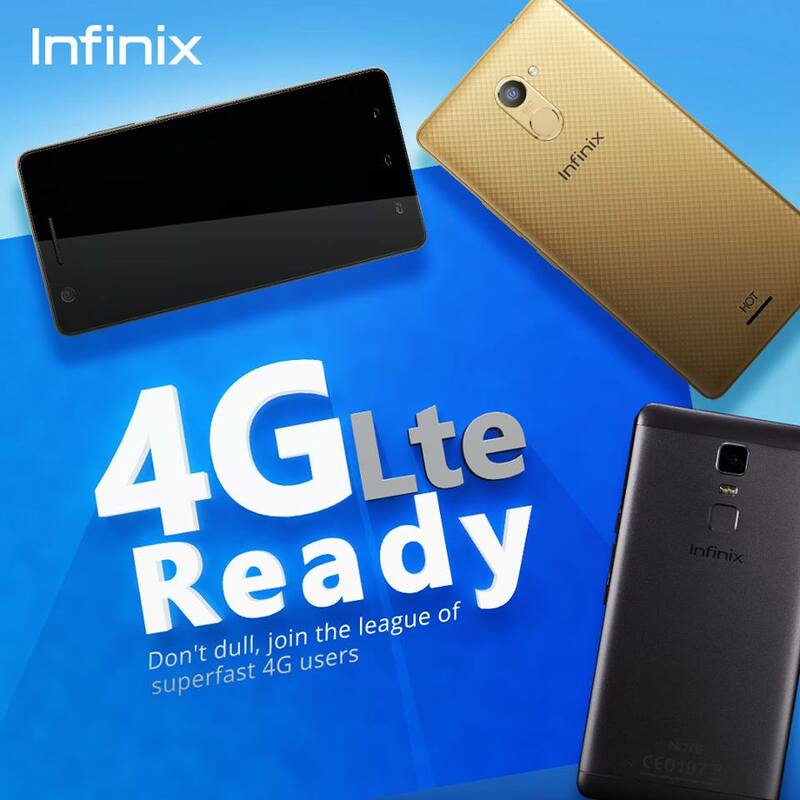 Nowadays, speed is a necessity when it comes to using phones and it’s to that fact that the infinix hot comes with a 1GB RAM, A Quad core of 1.3 Ghz CPU frequency and a Mali 400 GPU. Game lovers and those who enjoy multi-tasking shouldn’t have an issue with the device considering the specs. It’s an MTK device hence for those who may want to root and change IMEI for the sake of using glo bis on it, the process shouldn’t be difficult. However, please be aware that rooting voids your warranty. Guess that’s basically everything you need to know based on the unboxing and quick review of the device. In the next couple of days, we’d be putting up a more detailed review of the device. 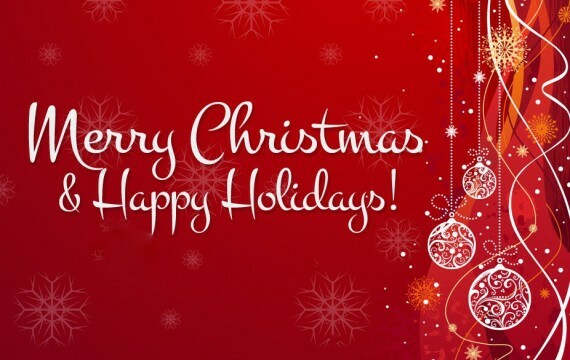 However, why that is still cooking in the kitchen, you can ask questions regarding the device using the comment form and we will be sure to answer every of your questions. I love infinix very well. Keep it up. Hallo, I have one too, yeah its a cool phone, I ordered it from Jumia Kenya my question is; Is it really a China made phone? Coz on its back its written made by china, please help me understand. Nice review Samuel Adeniyi, the phone really worth the price that it’s been sold. But one thing i detest about infinix phone(s) is that they normally use to be hot easily. Well, As regards the hotness of the phone, other new brands are guilty as well. If you’ve used other new brands phones, you’d experience same thing. just orderd mine 4rm konga.com. i hope this device will run fifa14/15 & GTA san andreas very smooth with no lags for me because i’m a gamer not just any games but heavy games 4rm 1.32gb size.. just love the makinq of this device..
Nice review, I thought I already commented on it earlier. At the retail price, it’s the best budget phone at the moment. Nice to know you guys also got the device. So far so good, the device has been cool. Am glad you were able to learn something new here :-).